Dharamshala: Tibetan refugees enjoy fresh snowfall in Dharamshalain on Sunday, Jan.06,2019. 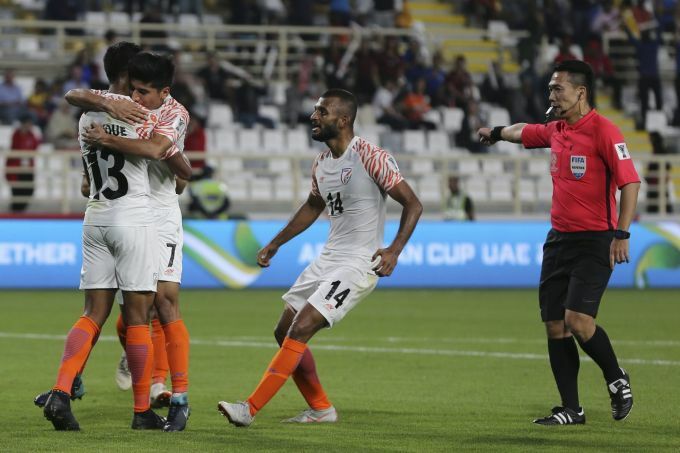 Abu Dhabi: India 's players celebrate a goal during the AFC Asian Cup group A soccer match between Thailand and India at Al Nahyan Stadium in Abu Dhabi, United Arab Emirates, Sunday, Jan. 6, 2019. 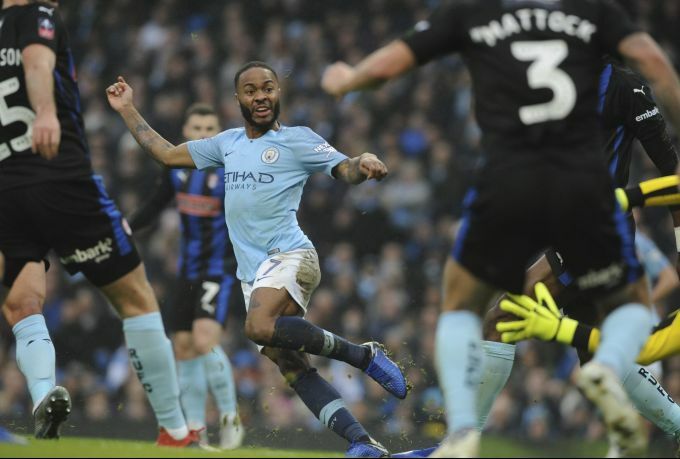 Manchester: Manchester City's Raheem Sterling reacts as he scores the opening goal of the game during the English FA Cup third round soccer match between Manchester City and Rotherham United at Etihad stadium in Manchester, England, Sunday, Jan. 6, 2019. 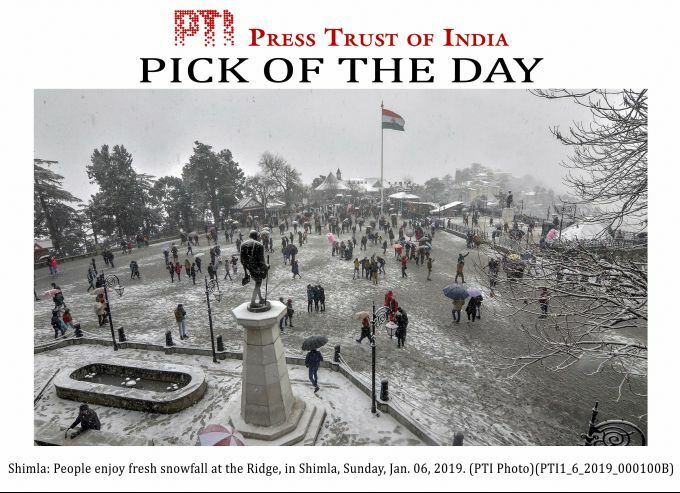 EDS PLS TAKE NOTE OF THIS PTI PICK OF THE DAY:::::::: Shimla: People enjoy fresh snowfall at the Ridge, in Shimla, Sunday, Jan. 06, 2019. 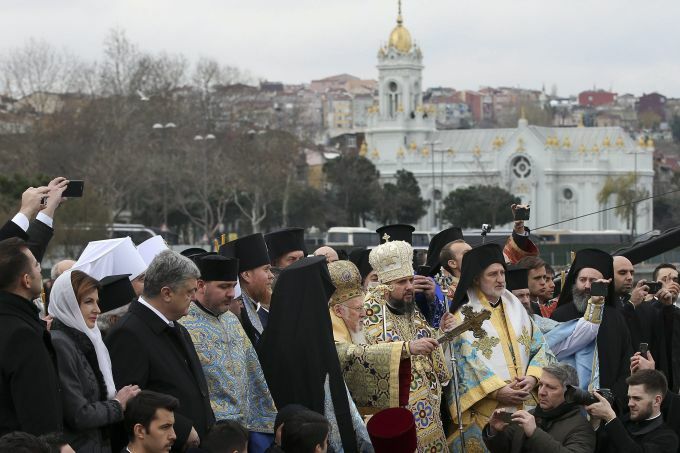 ISTANBUL: Ecumenical Patriarch Bartholomew I, center, throws a cross during a water blessing ceremony marking the Epiphany celebrations after presenting the "Tomos," a scroll containing the decree, in a symbolic ceremony sanctifying the Ukrainian church's independence from the Russian Orthodox Church to Metropolitan Epiphanius, the head of the independent Ukrainian Orthodox Church, center right, near the Patriarchal Church of St. George as Ukrainian President Petro Poroshenko, third left, and his wife Maryna, second left, attend an Epiphany ceremony in Istanbul, Sunday, Jan. 6, 2019.The decision to split from the Moscow Patriarchate after more than three centuries of ties has angered Russia. The move comes as fighting continues in eastern Ukraine between government forces and Russia-backed rebels and it forces clergy and believers to choose between Moscow-backed churches and the new one. 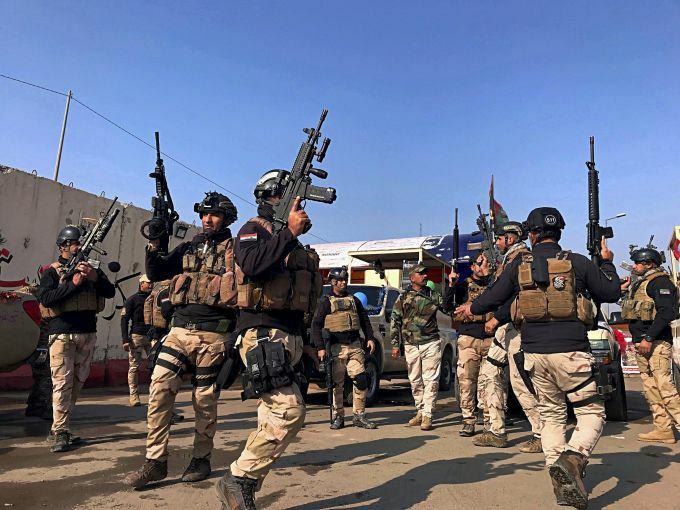 BAGHDAD: Iraqi Army soldiers chant slogans against the Islamic State group before going out on patrol, during the Army Day celebrations, in Baghdad, Iraq, Sunday, Jan. 6, 2019. The Iraqi Army was activated on Jan. 6, 1921 while under British rule.